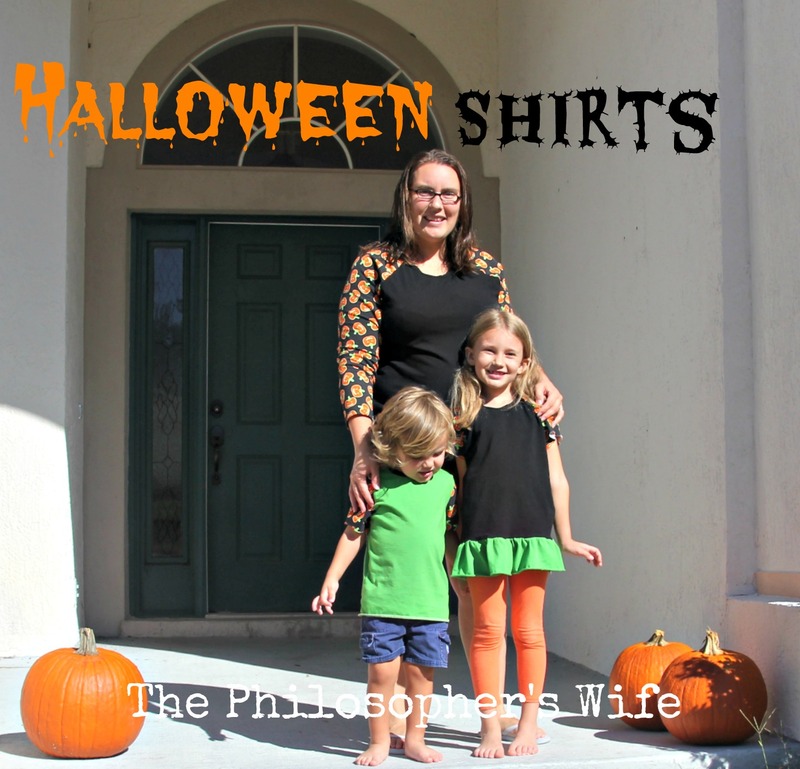 I made coordinating Halloween shirts for the whole family. There's a "secret ingredient" that I used for all of these shirts that might surprise you. Can you guess what it is? Catherine's shirt is a heavily modified Free Hoodie from Brindille & Twig. I shortened the sleeves, omitted the hood and pocket, and added a ruffle to the bottom. Removing the hood meant that I had to add a neckband; I used the 80% rule and it worked splendidly. 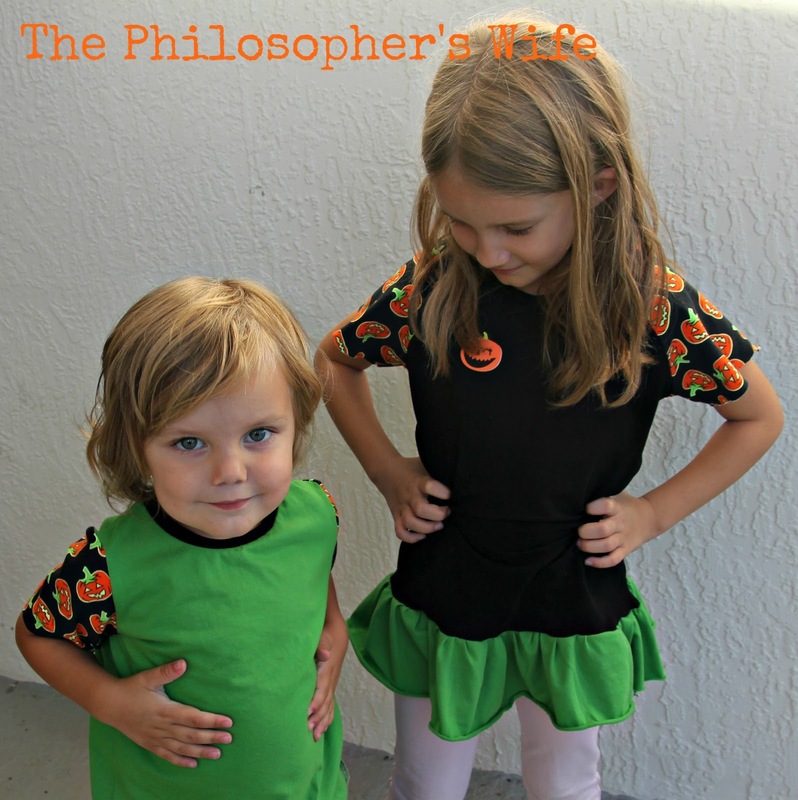 The ruffle was a width of fabric and then gathered and attached with a serger. I am super happy how her shirt turned out! 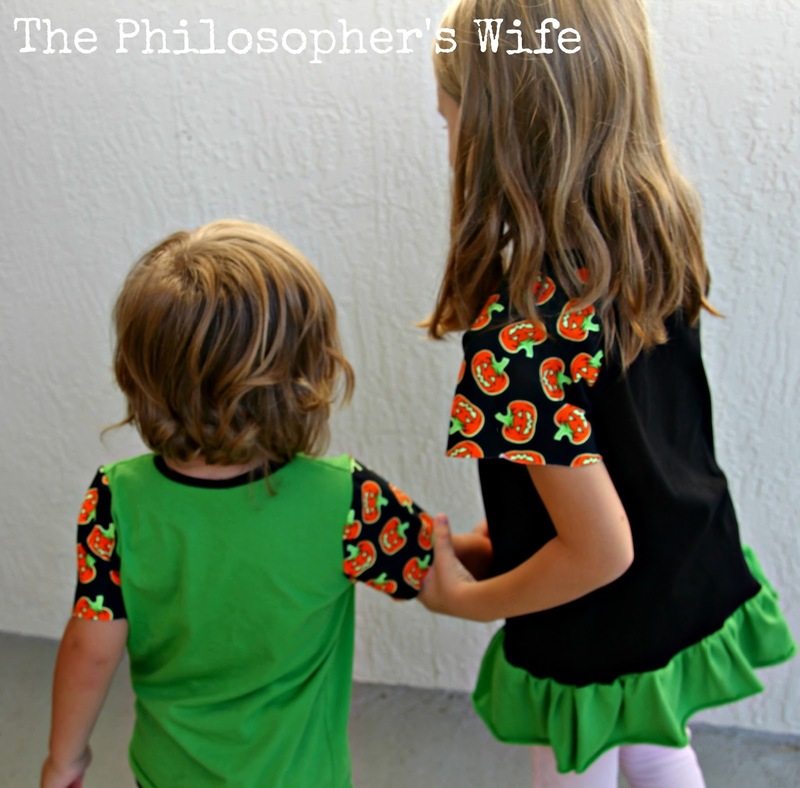 Dominic's shirt is the School Bus T-Shirt from Oliver + S. (I won my pattern during a sew-a-long with Whimsical Fabric.) Dominic really, really, really loves green right now so he was quite happy with his shirt. My shirt is the Lane Raglan from Hey June Patterns. (This one is actually from the pre-updated pattern. I have yet to print the updated version. I will. Eventually.) I think this is my favorite pattern to wear. Don't worry, Hubby isn't missing out on the fun! (It is "fun", right honey?) He's getting a GreenStyle Men's Hudson Hoodie. Did you guess my "secret ingredient" for these shirts? It's a pair of leggings. Well, two pairs actually. 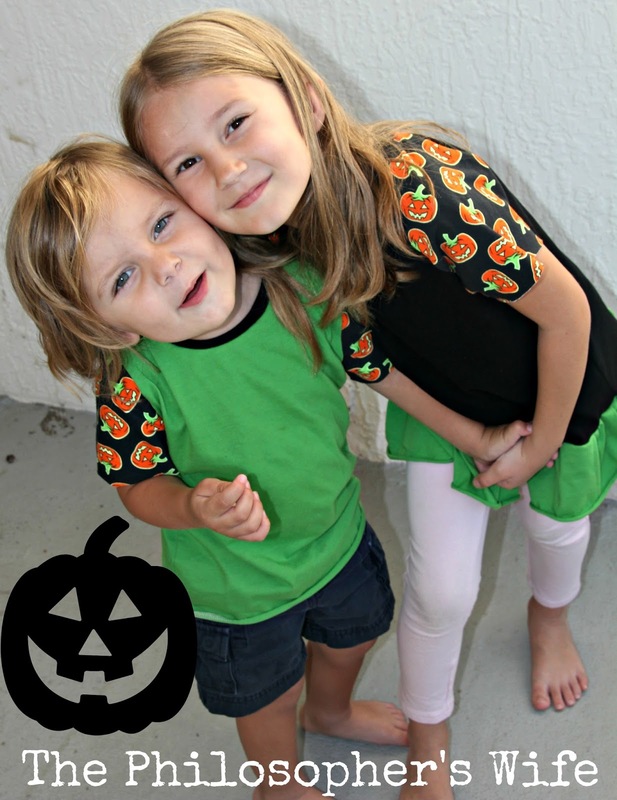 I found cute pumpkin leggings in the juniors department at Walmart for less than $4 and all I could see was fabric. I snatched them up and I think they worked wonderfully for these shirts! What do you think? Surprised? Or did you see it coming? The black cotton lycra is from NR Fabrics. It has a great weight and stretch. It's definitely a quality fabric. The green is from Girl Charlee. It's a bit lighter weight and the stretch is a bit less. It's a new week! I can't wait to see what you've all be busy creating. 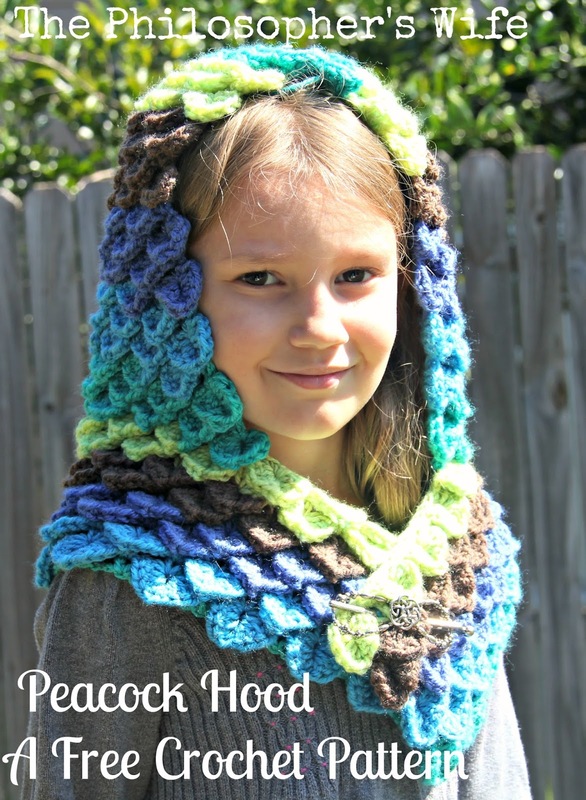 I finally finished up my Peacock Hood blog post. (The actual crocheting took me no time at all compared to writing up the pattern.) I'd love to hear what you think of it! 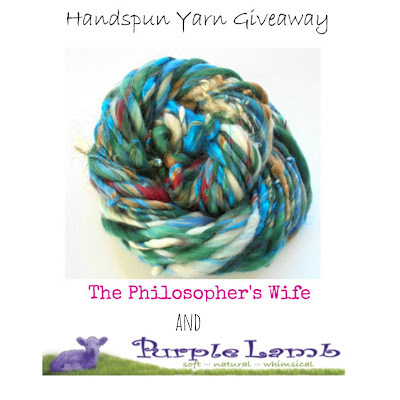 Don't miss this yarn giveaway! Please do NOT link directly to a paid pattern. 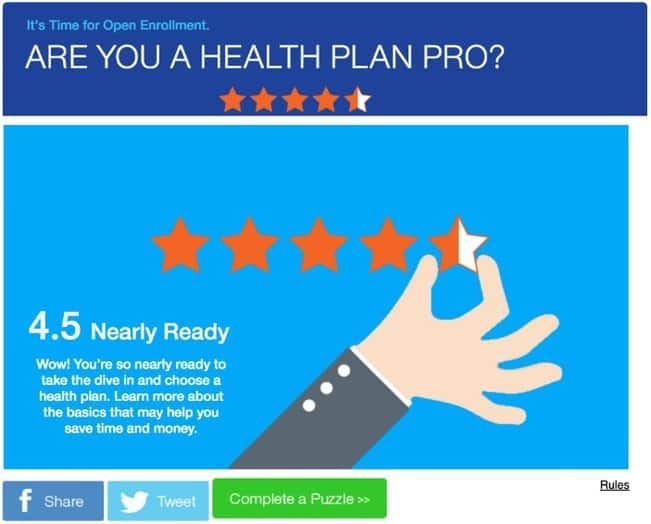 You may link to your blog, which in turn links to the pattern. I loved crocheting this Peacock Hood! I was lucky enough to get my hands on a couple of Caron Cakes in Gelato during the initial release. 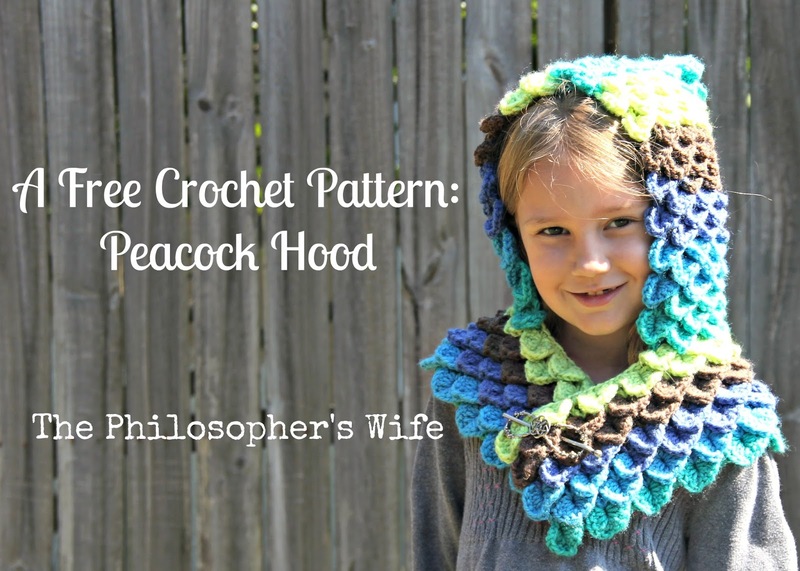 I knew I wanted to crochet something using the crocodile stitch and, after much frogging and indecision, happened to create this adorable hood. I used my H hook. A bit of a disclaimer: This is an untested pattern. I wrote the pattern using the notes that I made while crocheting. If you make this pattern I do welcome your comments and corrections, but please be kind. 2. Build your feather foundation, also sometimes referred to as the crocodile stitch ladder. 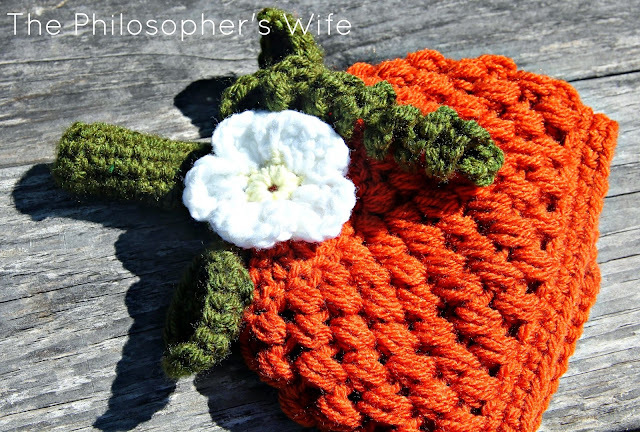 Do this by chaining three (which will act as your first double crochet stitch). Double crochet into the fourth chain from the hook. *Chain one. Skip two chains. Two double crochet into next stitch. * Repeat till end where you should work two dc into the final chain. 3. Turn your foundation ladder so that it is hanging down.To make each feather (or crocidele scale), you’re going to work stitches around the posts of the double crochet stitches that serve as the ladder rungs. *Chain one then five double crochets down the post of the ladder, chain one, and then five double crochets up the post of the other rung pair. Skip the next pair of rungs. * Continue along the length of the foundation row/ladder working down and then up each set of rungs. You should end with a feather/crocodile scale in the last pair of rungs for a total of 19 feathers. Note: You will need to flip your work around a bit as you're working. 4. At this point your feathers are going to look a bit ruffled. Don't worry! This next row works as both the foundation for the subsequent row and locks the previous row neatly into place. You are now going to work pairs of double crochet, separated by one chain, worked into the gap between one of the pairs of double crochet stitches below. You will alternate between working your dcs into the space between scales as well as into the gap between dcs. 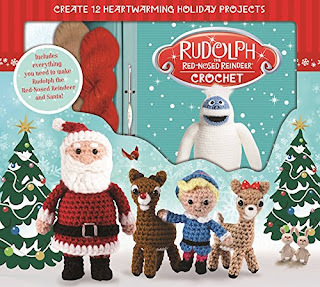 This means that you should have the same number of double crochet pairs throughout this entire section and that they should line up on top of one another. 5. It's time for another row of feathers! However, the feathers need to be offset from the row below, so this row will have 18 feathers. Chain two, skip the first set of double crochets/ladder rungs, and work your feather into the second set. Continue as before, with five double crochets down the post of the ladder, chain one, and then five double crochets up the post of the other rung pair. Skip the next pair of rungs. 6. Repeat steps three, four, and five until you reach your desired length, to replicate my project you need seven rows of feathers. It works best to end on a row with 19 feathers. 7. For the final row of the scarf portion of the hoodie the locking in mechanism changes slightly. Work as step four instructs, however, use single crochet stitches over the first four feathers, switching to double crochet between feathers four and five. You will mirror this for the other end of the scarf; between the fifth and fourth LAST feathers switch back to single crochet. 8. Now for the hood! Slip stitch (with the v's on the wrong side) to the first double crochet group. Work 12 feathers into the double crochet row as normal, stopping once you reach the single crochet stitches. 9. Work step four's locking in row, only crocheting in the double crochet stitches. We are no longer worried at all about the scarf part -- that's finished! 10. Work 11 feathers, this is the offset row so it has one less. 11. Continue working rows of 12 feathers, foundation, 11 feathers until your hood is as high as you'd like. Mine is 14 row of feathers (not including the scarf portion). 12. For the final locking in row use single crochet instead of double crochet. 13. At this point you will have what looks like a long skinny rectangle with another rectangle on top of it. 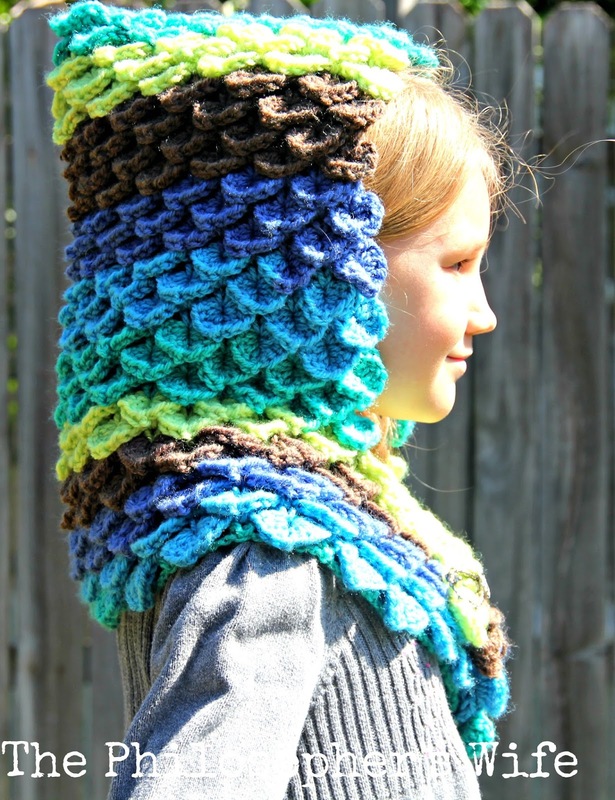 Fold it in half and slip stitch across the top. 14. Weave in ends and enjoy! 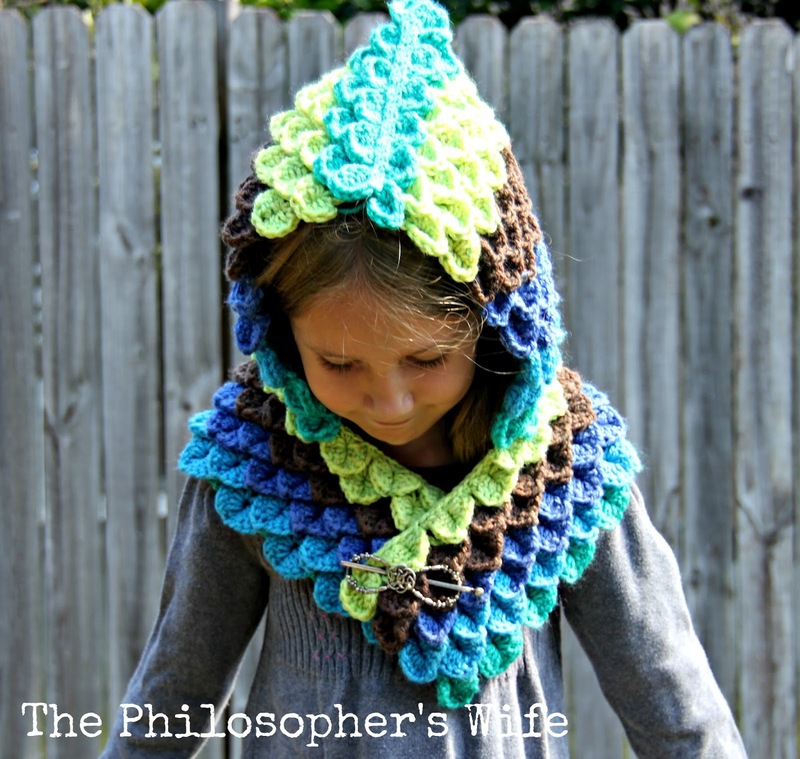 I used one of my Lilla Rose Flexi clips as a shawl pin for Catherine's Peacock Hood. It would be super easy to add some fun buttons or toggles as well. 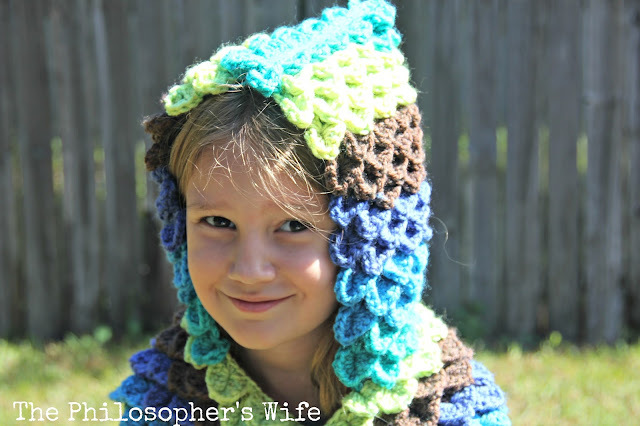 I'll be sharing this free crochet pattern at these awesome parties! Thank you for joining me for another week of the Yarn Fanatic Party! 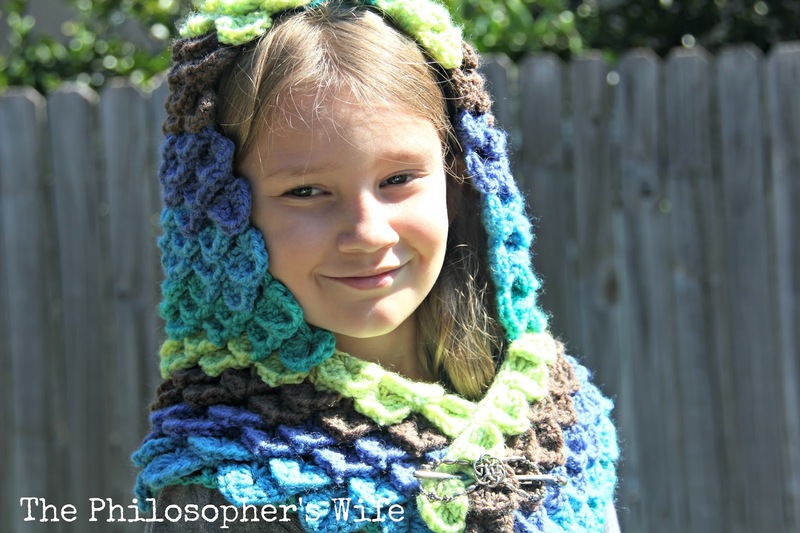 Did you see this lovely sweater that was linked up last week? You really need to click through to her blog, Ana Love Craft, to see all the pictures of the sweater in Lisbon! 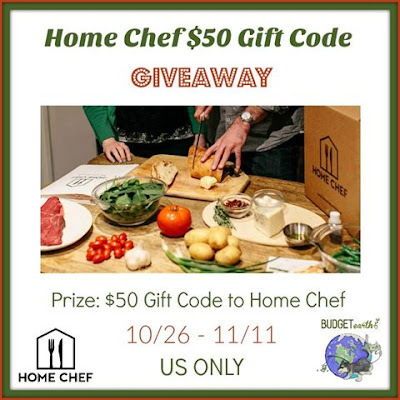 Welcome to the Applebee's Gift Card Giveaway! Applebee's has just introduced a new menu for steak sampling. Meals start at just $9.99 and allow you to have an easier and less costly date night. 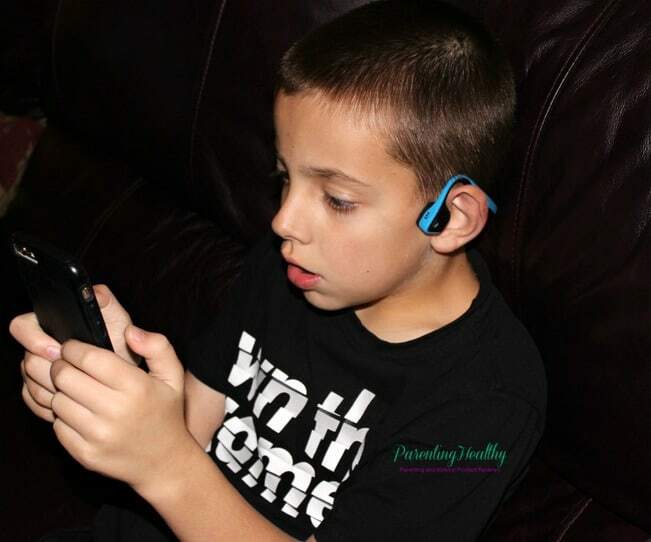 Check out Holly's review at I Like It Frantic. 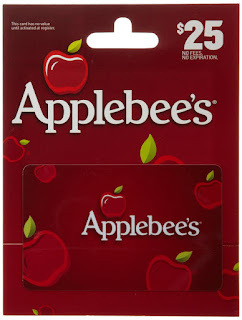 Did you know that Amazon sells Applebee's Gift Cards? The host, sponsor, and participating bloggers reserve the right to make revisions, to cancel, or suspend this contest for any reason. We are not associated with any of the companies named above. 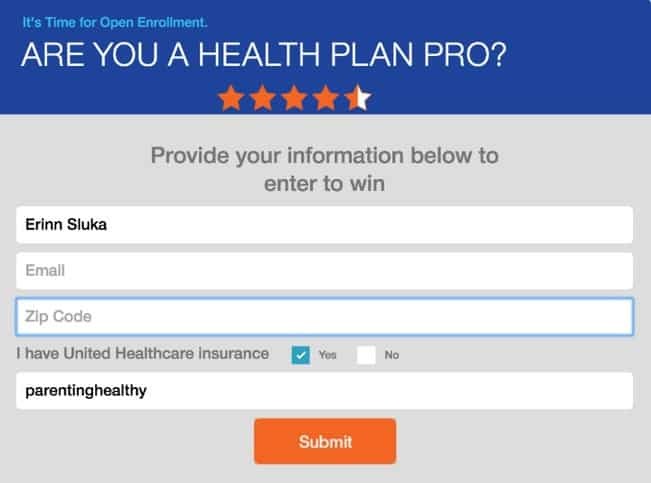 The odds of winning are based on the number of entries received. Open to the US 18+ only. Confirmed Winner(s) (by Rafflecopter) will be contacted by email. 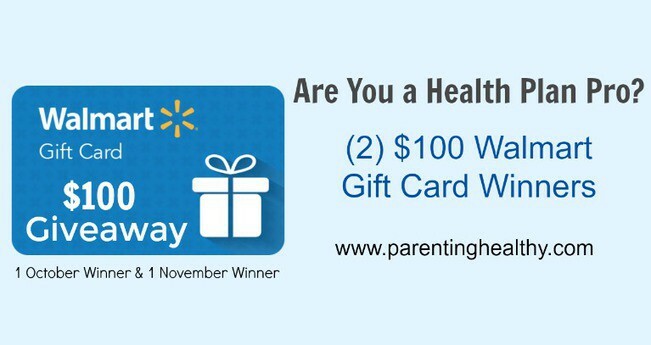 Winner has 24 hours to respond before a new winner is chosen. No purchase necessary. Void where prohibited by law. 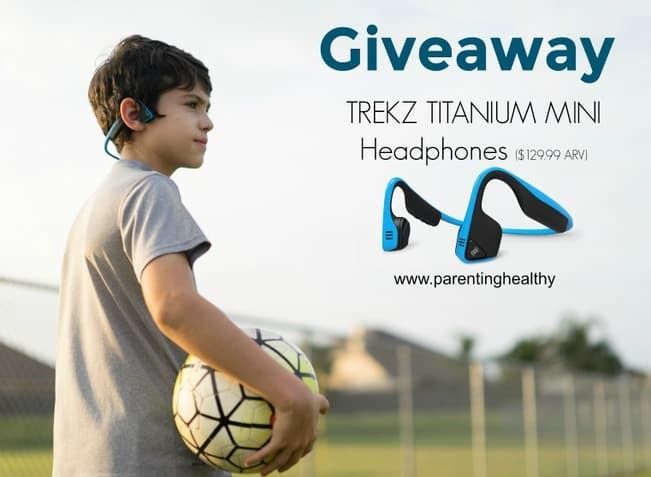 The sponsor will be responsible for product shipment to winner of this giveaway. I Like It Frantic and all other participating blogs, including The Philosopher's Wife, are not responsible for prize fulfilment or delivery. This event is in no way administered, sponsored, or endorsed by, or associated with, Facebook, Twitter, Google, Pinterest or any other social media. This disclosure is done in accordance with the Federal Trade Commission 10 CFR, Part 255 Guides Concerning the Use of Endorsements. 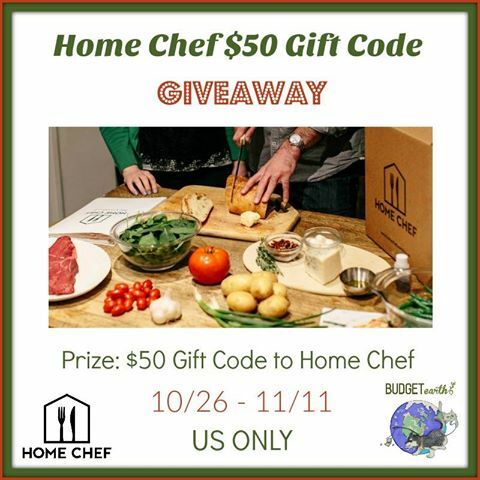 Entrants must only enter with either one email address, IP address and/or Facebook account, anyone found violating these rules will be disqualified. It is at the sole discretion of the admin of the giveaway if the winner has met the rules. It's my birthday week! I'm going to work hard this week to make sure I have some extra time for reading, crafting, game playing, and a Disney visit. Thank you to everyone that linked up to last week's party. Did you see Arabian Knits' Saint Nicholas stocking? Woah! It looks so intricate and fun. The colors are amazing. Also, can I just say, I love the composition of her photo? The books and the stocking go so well together! 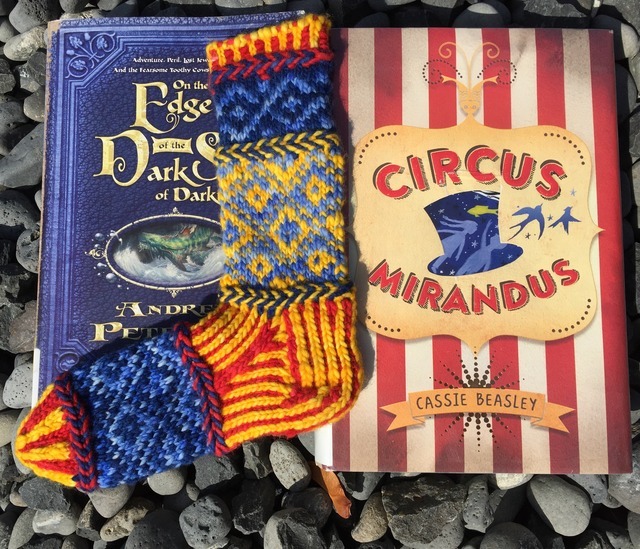 There are a few great yarn-y giveaways out there right now that I'd like to share with you. 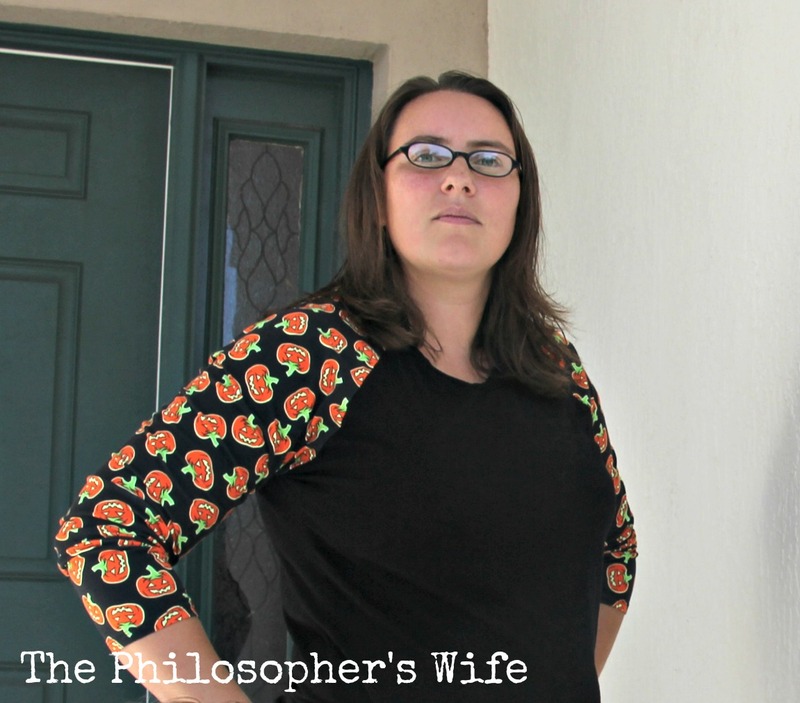 Also, be sure to check out The Philosopher's Wife: Giveaways Galore Facebook page for lots more crafty giveaways. Let's see what you've been creating with yarn! Happy Monday! I hope that you are in for a wonderful week. (A week without hurricanes. "Matthew" was kind to us in central Florida. My thoughts and prayers are with those who were not so lucky.) Do you have yarn goals for the week? I have three projects that I'd like to completely wrap up. 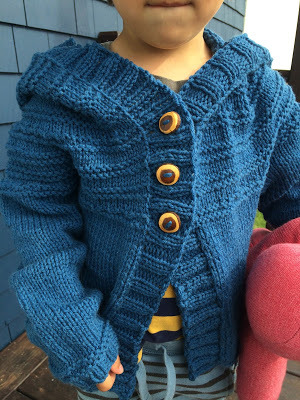 One of my favorite yarn-y projects from last week is this adorable sweater knitted by Sarah. 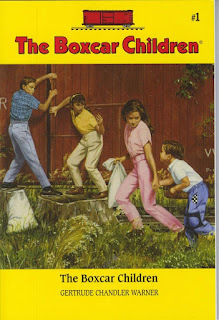 Catherine and I started the first Boxcar Children book together as a read-aloud. 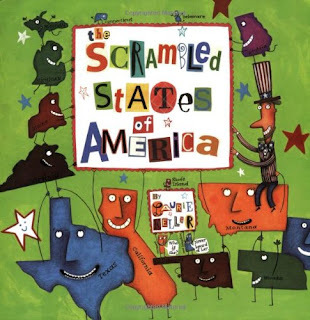 I loved these books as a child! I literally read every single one. (It looks like you can get the Audible edition for free right now.) 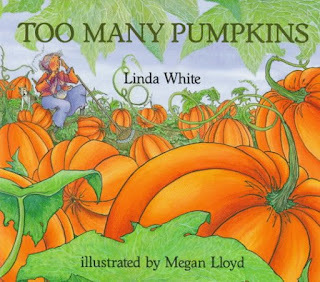 I just might be hoping that she will want to do a lot of more of these as read-alouds. 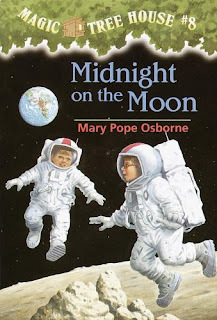 Magic Tree House #6 finally came in at the library, and it was quickly devoured. Along with #7. Now we're working on Midnight on the Moon. 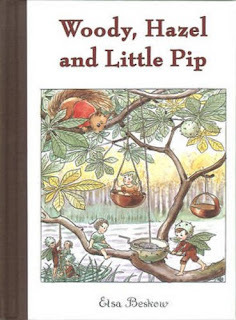 Woody, Hazel, and Little Pip is a sweet little adventure book. 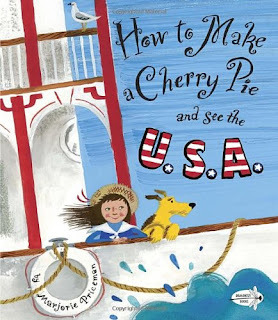 The illustrations are lovely. 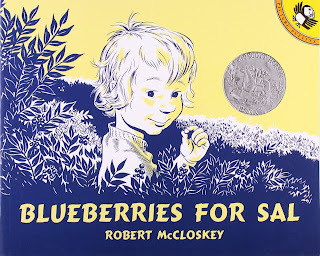 I've added a few of Beskow's other books to my holds list based upon this book. Rarely does a week go by without checking out something from the Dr. Suess section. 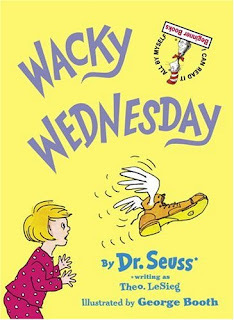 This week it's Wacky Wednesday. 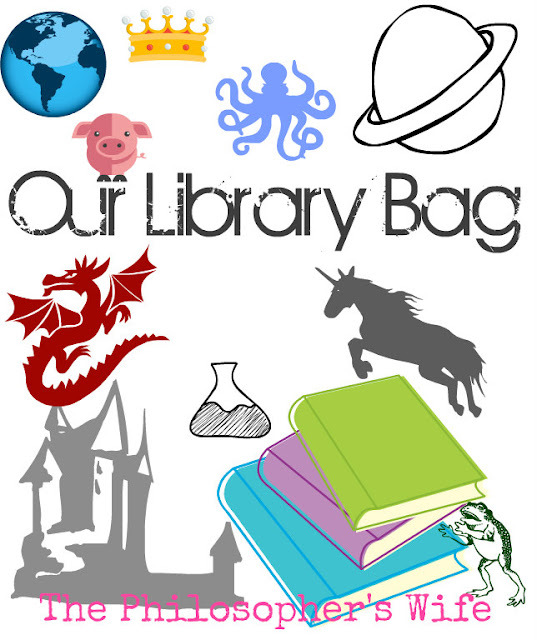 While not technically in our library bag, since we own it, this is another book that we've been reading. 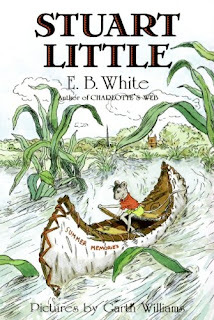 I'm not sure that I'm ready to introduce Charlotte's Web at this stage, but this book is quite a delightful read-aloud by the same author. There's quite a few more books that we currently have checked out. We are holding steady-ish right now at 32 items on loan. As always, I have more Works In Progress than any sane craftist should have. This week I've added two scarves to the pile -- one knit and one crochet -- and I picked up some yarn to try crochet color pooling. 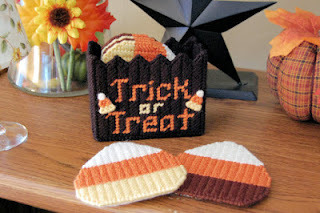 Both are my own patterns -- hopefully coming soon to the blog! The crochet scarf (in the blue) I think would work better in a solid color. 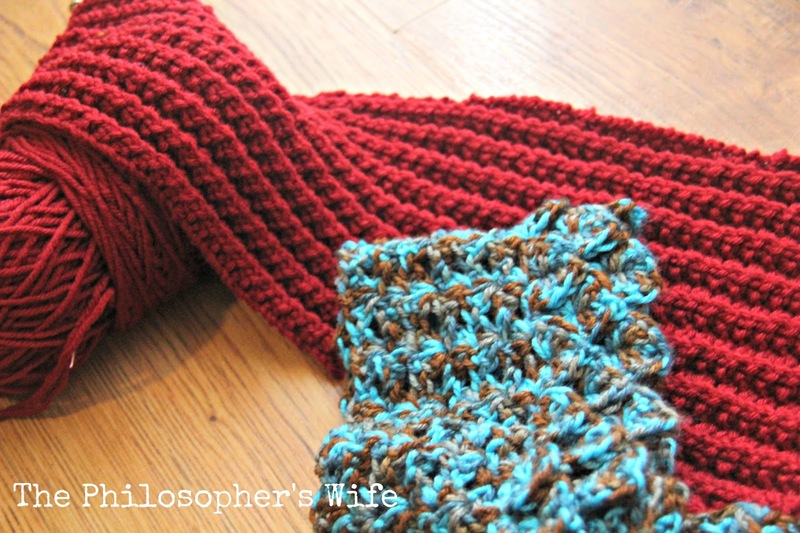 I am loving the texture of the red scarf! 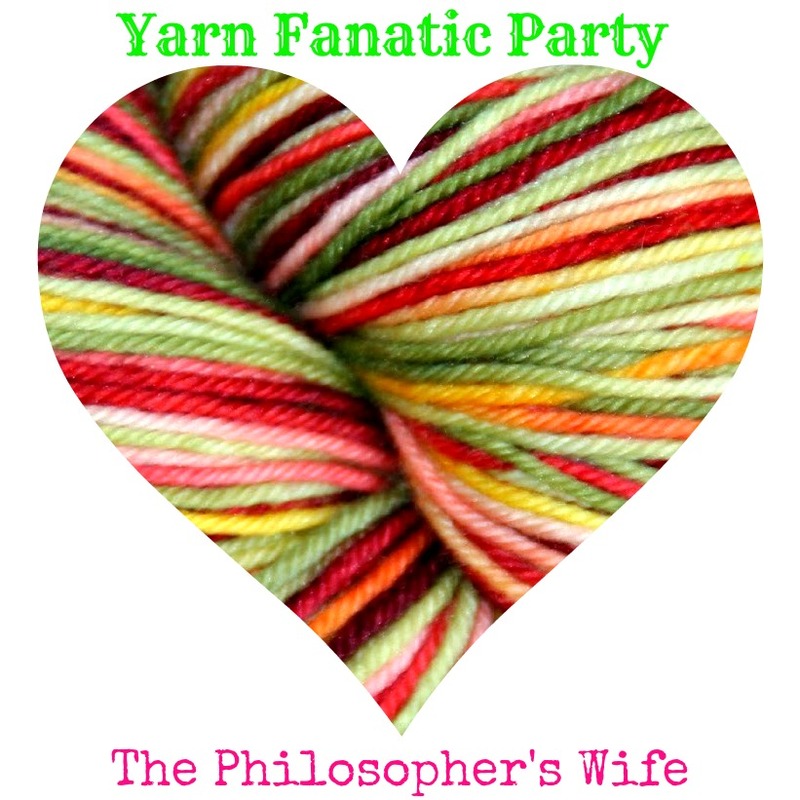 Feel free to link up any of your finished yarn projects at my weekly Yarn Fanatic Party. 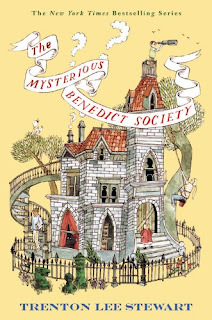 I'm also super excited because my library hold for The Mysterious Benedict Society finally came in! Speaking of books, I've started a new post series called Our Library Bag. So much crafting and so many books . . . so little time! Welcome to the sixty third Yarn Fanatic Party! This weeklong party is a celebration of all things yarn. I'm a little crazy about yarn, are you? I have to ask, how many of you are on board the current color pooling crochet craze? Anyone? I'll admit that I went through my stash to see if I had any appropriate yarn and came up empty. Of course, this means that I stopped in at Michaels with my coupons to pick up some yarn. I'll let you know how it goes!